At Acree Air, it’s never too late to be cool! We have techs in the field and a fully staffed office standing by to serve you from 7AM to 11PM, 7 days a week. And regardless of what day or time you call, we do not charge overtime…EVER! 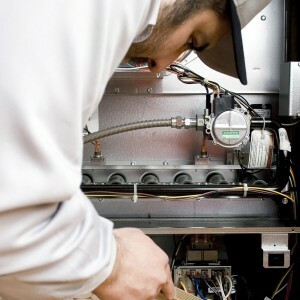 We are a service company that focuses on customer service just as much as HVAC service. Unlike most other air conditioning companies, we only serve residential homeowners. We do not work on commercial and we are not involved in new construction work. That means we can provide fast service to you when you need it. That means air conditioning repair and service in hours, not days! It’s bad enough when your system breaks down at night or on the weekend, but not being able to find someone to service it without charging you overtime is even worse! That’s not true at Acree, because evenings, weekends, and holidays are normal workdays for us and we never charge overtime. We have live people in the office and service techs working in the field 7 days a week, from 7AM-11PM. It’s the same low price no matter when you want us out to your home. We know how valuable time is. That’s why one of our operating core values is “Value Others’ Time.” Every member of our team lives that core value every day. If we are not at your home when we say we will be, you do not have to pay for the service call fee. Unlike many companies, we do not charge by the hour. We have an up-front pricing system that assures that you will know the exact price, down to the penny, of what your repair will cost before any work is done. Your satisfaction is our #1 priority. Unlike other local heating and A/C repair companies, if you’re not satisfied with the work we do in your home, we won’t accept payment until it’s been done right. If our technician smokes on your property, or if he does not wear his floor savers in your home…you do not pay a dime until we make it right! Schedule a repair visit with Acree Air Conditioning online or call us at 1-800-937-6736!